The book was recommended by a friend. Without giving it a second thought, I bought this book after seeing lots of positive reviews about the book and the praise for the author. This is one of the best behavioral books to read for all! The book is divided into four parts giving a thorough study of 30 principals all meant to be very much helpful for any person in life. The best part I liked about the book is that I could relate some of the case incidents quoted by the author, Dale Carnegie with my life and I found them to be absolutely right. The book is very well researched and presented in a very precise manner. This book should be included in the school as well as college curriculum and should be read at least one time every year to keep the principles in mind. 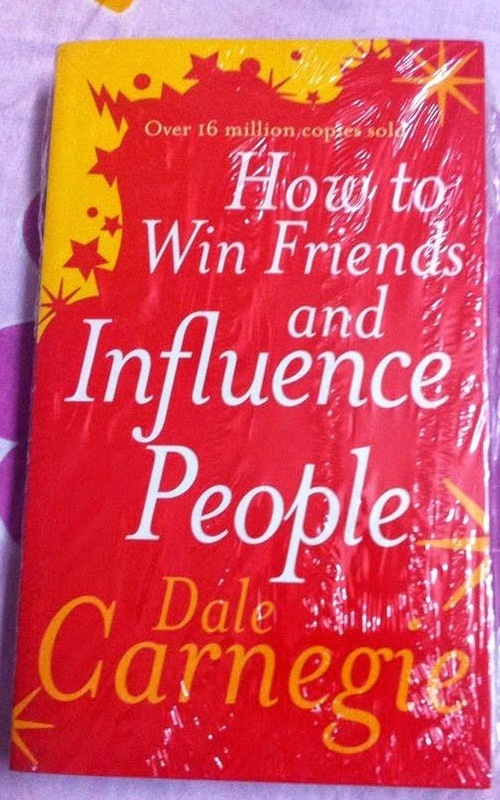 No matter you are in any industry whether it is marketing, finance, healthcare etc., if you follow the principles in this book. you definitely will find it relate able and a worthy read. I would give the book 5/5 though a rating of 5/5 would also be not that sufficient for the amount of research and significant effort that has been done to write the book. Truly recommended book for all! Found your blog on FB and Followed you via GFC.